Meet Brioche à Tete. Member of the Mile-End Business Association. 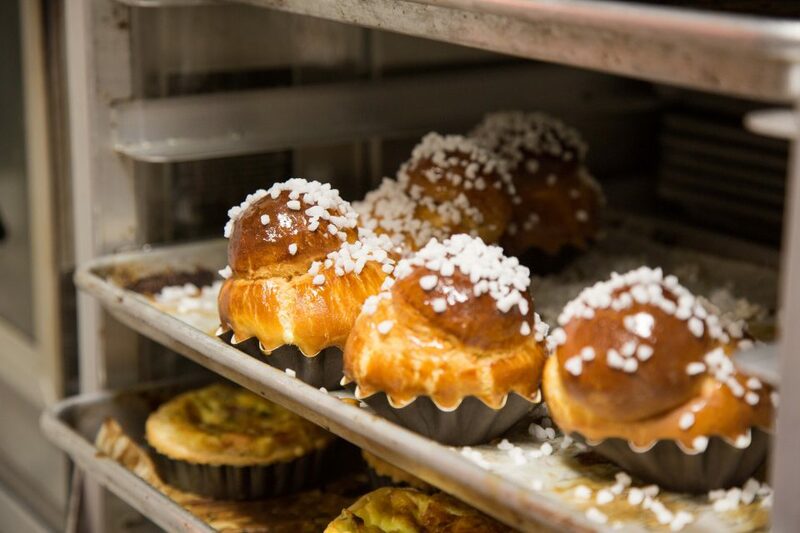 Where buttery croissant and brioche are made with what pastry chef Jonathan calls the most crucial ingredient, community. Your accent tells me you’re from France. What led you to make the move to Montréal? Back when I started to practise the craft of pastry my goal was to learn the basics then leave. Live elsewhere. I knew I didn’t want to open business in France. After two years travelling in Australia my then girlfriend, who is now my wife, and I had the choice between moving to either Canada or Japan. We chose Montréal. 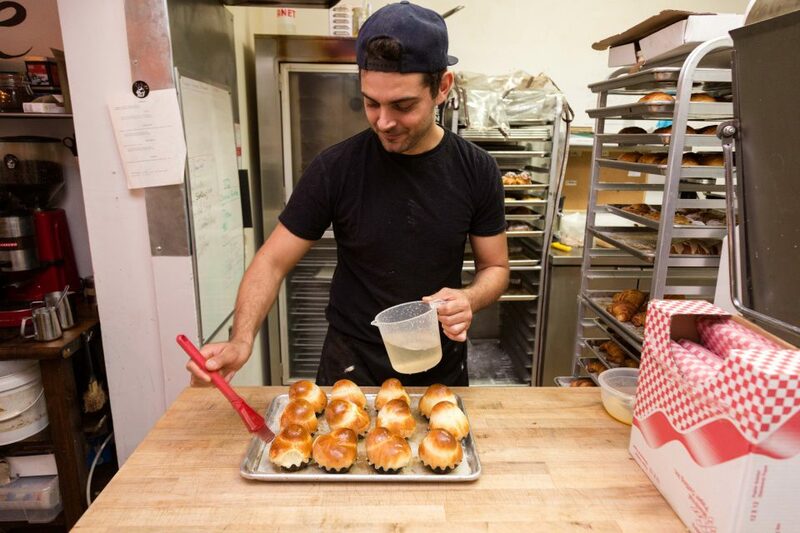 Two years later, my brother joined us to create Brioche à Tête. Why the focus on brioche versus the almighty croissant? I was told I made the best brioche! And then, moving here and there around Montréal, I realized that brioche was a product you didn’t find very often. 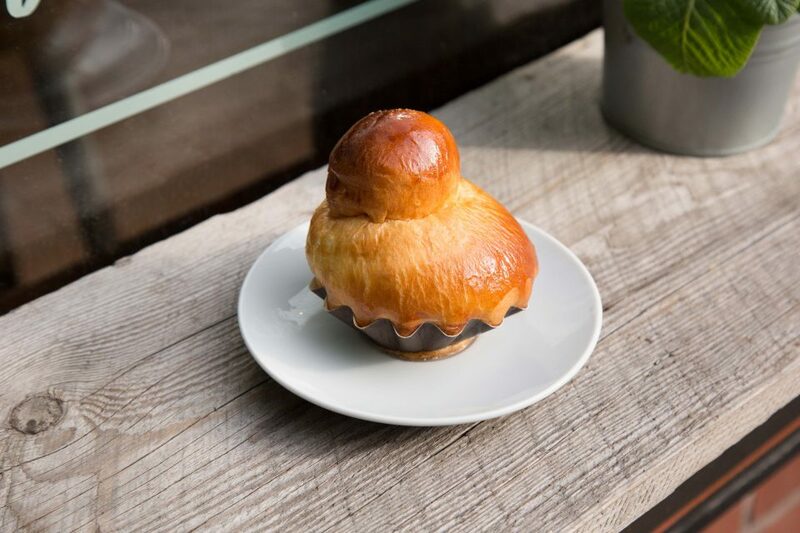 Viennoiseries are very developed but more of the brioche, well, people know very little. Even now there are people who come to the bakery and say, “What the hell is that?” So there was an opportunity. With Brioche à Tête, I found the name cool mostly because I like how the Québecois pronounce it. Everywhere, especially social media. But also along my travels and experiences working and cooking in different cities and restaurants. For me, I like to experiment all the time. Experiment with flavours and ingredients and try things just to try them and make people taste them. See how they react. They’ll say, “Okay I like it” or, “I like it less” and then you create your identity in relation to what you like. Your taste. That comes first. That’s how you find your cool. Was baking a part of your childhood? As a kid I was always in the kitchen at my mother’s skirt. She baked a lot and while my two brothers were off playing I’d spend my time watching her, studying, and tasting. Salty tastes always attracted me less. When I was ten or eleven years old, my friend Charlie and I had so much fun making coconut cakes. We would throw together chocolate, coconut, and eggs and it was pretty bad! But we liked to experiment more than anything, just to try and do things. Teach ourselves. As I got older, I wanted to get more involved with cooking and baking. It was a passion that was always with me and grew stronger and stronger. At nineteen-years-old I began studying pastry. I thought,“I’ll test, I’ll have fun and I’ll see how long it lasts”. Twelve years later, here we are in Mile-End. 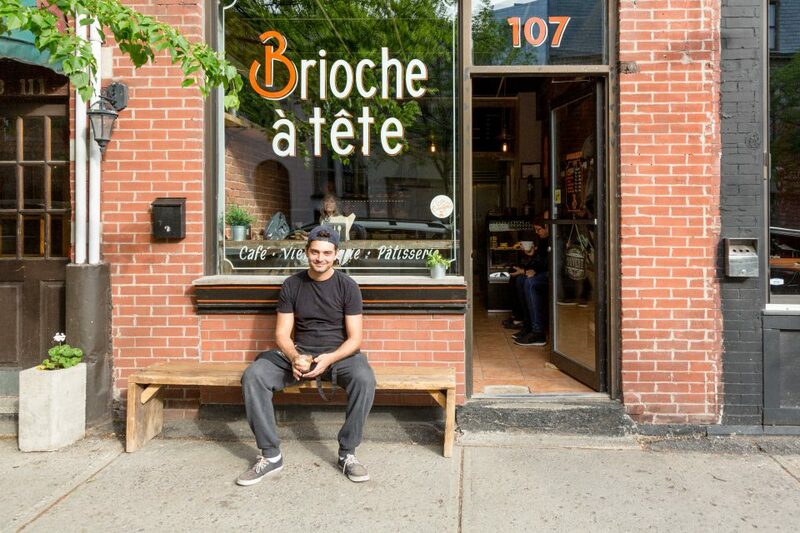 Why did you choose to open your bakery in Mile-End? When I arrived to Montréal, a few friends were living in Mile-End and I thought the neighbourhood was cool. There’s a different customer here too. Mile-End is really family friendly and the people who work in the area are creative and cool. 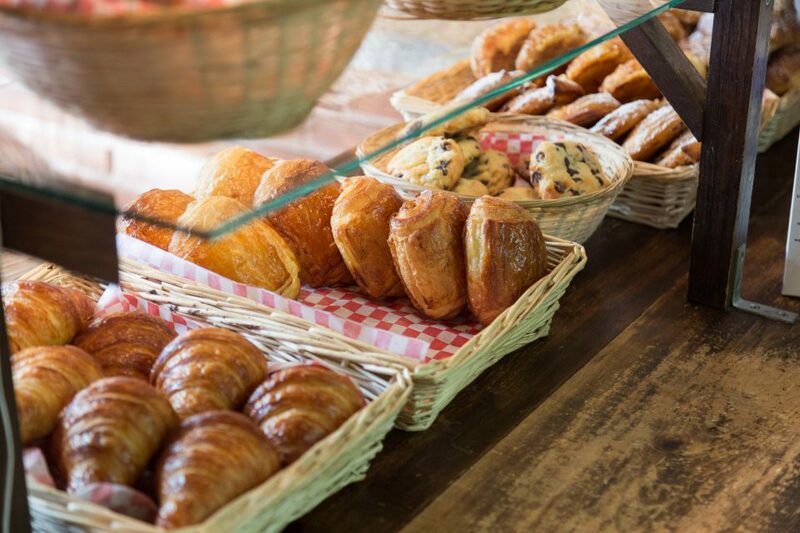 In the summertime people come from all corners of the city to taste our croissant and brioche. It’s all by word of mouth or social media. So when people come they’re really sent here to taste and try what we’ve got. It’s not by default. Absolutely. You can do the biggest advertising campaign with the best communication agency out there but if the taste isn’t there, people only come once. That’ll be the last time. Customers know what they’re talking about and word-of-mouth is the best. We are people who taste and keep tasting to grow every day. It’s all about the taste! Every shop has its locals. Is there a particular customer who stands out as the unofficial official member of the bakery? Donald. He usually comes to the bakery at 5:30 AM. At first he’d come sometimes for coffee and now he comes every single morning. He even comes at 4 AM some mornings to help us make croissants! He rolls them with us. He has a factory across the street and when he has a break, he joins us to eat. It’s the proximity! He is very curious and asks a lot of questions, “How do you do that? I’ve always dreamed of making croissant!” He watches us knead, turn, roll and bake croissant. He finds it magical. The smell, the touch, everything. Our relationship was quickly made as more and more questions were asked. We share tricks of the trade. Customers like Donald become friends. 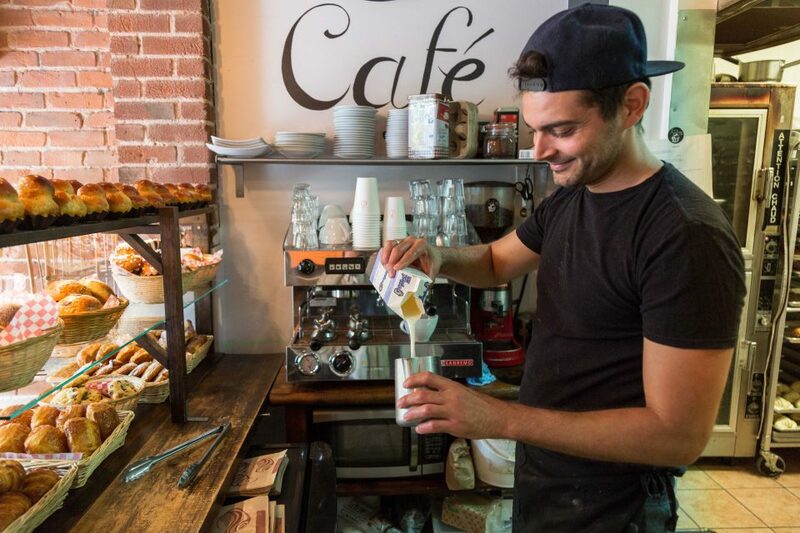 What’s one secret to having one of the best croissants in Mile-End? Ah ah! I can not say it all! But one of the secrets is time. There are times to rest and times to knead. Above all, you need good ingredients. Ah, and then love, for sure! 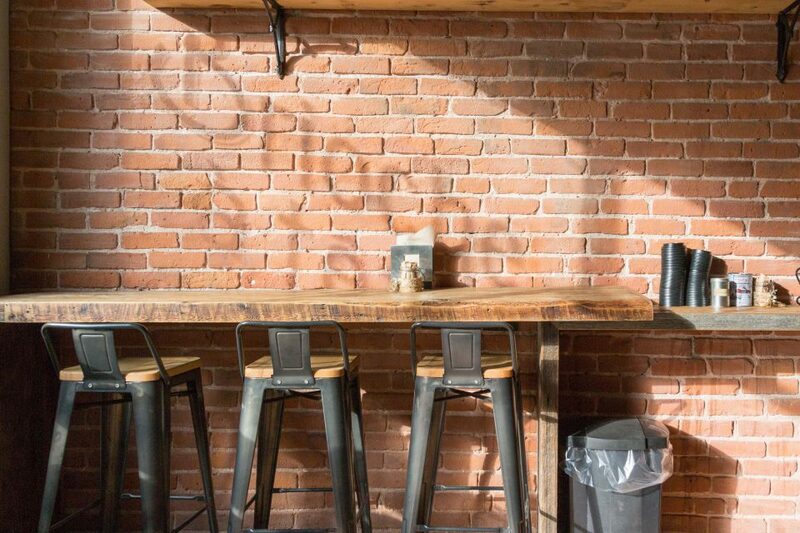 What are your favourite places to grab a bite on Fairmount? I love La Khaima, an African restaurant across the street from the bakery. They have amazing tagine and couscous. It’s a very colourful place with colourful fabrics. The owner is a friend too and there have been times where he prepares something special for us with whatever ingredients he can find in the back. It’s always tasty. Same with Franco of Drogheria Fine who makes tomato sauces like nonna and gnocchi just a few meters away. Honestly, his sauce is incomparable. It’s killer! We’ve created a network with everyone on the street and we all support each other. For example we would only take our ham from Vito at Boucherie Chez Vito. You also have Restaurant Fabergé which is very good, especially for brunch. Kem Koba’s ice cream is a delight!